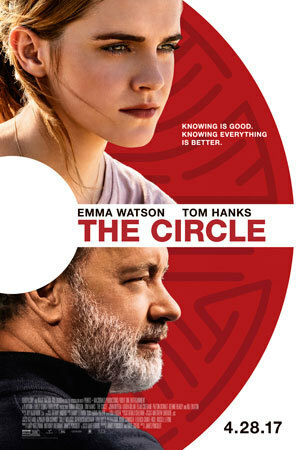 In the new high tech thriller The Circle, Emma Watson plays Mae a tech worker hired to work for the world's largest and most powerful tech and social media company. Down on her luck and stalled in her career, she sees it as an opportunity of a lifetime. As she rises through the ranks, she is encouraged by the company's CEO, Eamon Bailey (Tom Hanks) to engage in a groundbreaking experiment that pushes the boundaries of privacy, ethics and ultimately her personal freedom. Her participation in the experiment, and every decision she makes begin to affect the lives and future of her friends, family and that of humanity. How does Emma feel about her character and the high tech world that invades privacy? Check it out! Q: What drew you to do this movie? Emma: It really stuck with me, the story and the questions that it raised. I found myself weeks later pondering different aspects of it and I think that’s always a good sign for a story or something I might potentially work on. It doesn’t leave you quickly. Q: What do you think makes your character Mae become involved in the Circle? Emma: I think Mae finds herself having to work hard for these big dreams and big ambitions and she’s like “Wow, I’m 26, I’m living with my parents and they don’t have enough money to pay for health insurance. I’m working in a job that doesn’t challenge me. Is this my life? Is this everything there is to my life?” And, when Annie (Karen Gillan), her friend offers her the chance to have a job interview at The Circle, this is her ticket. This is her escape, her chance to be able to take care of her family and feel less powerless. I think she has a sense of powerlessness in her life and somehow The Circle gives her a sense of autonomy and control. And, also hope for her future. It’s a very powerful promise that The Circle gives her. Q: Who are the three wise men in the movie? Emma: The three wise men are sort of the triumvirate at the head of The Circle. There’s Ty (John Bodega of “Star Wars”) who is the creator, he’s invented what has become The Circle. Then there’s Tom Stenton (Patton Oswalt) who is sort of the COO, makes (everything) run on time. He’s the money man. 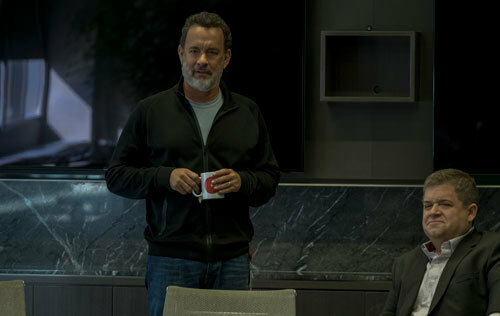 Then there is Bailey (Tom Hanks) who is the charismatic, CEO, or public face of the company. Q: What is really the relationship between Mae and the Tom Hanks character Bailey? Emma: Well, it starts out employer/employee and it becomes one of those very complicated patriarchal relationships where Bailey takes on a father figure role with her but, of course, is her employer at the end of the day so it becomes a very complex relationship. Q: How are employees of The Circle expected to share all details about their lives? How are they exploited? Emma: The expectation of employees of The Circle is that everything about their lives will be shared. Their extracurricular activities or the socializing which you would do in your normal life has to happen at The Circle because The Circle has found a way to modify or commercialize every aspect of people’s personal lives. So all of that data (what) they spend money on, all of that content sharing, information sharing they want to happen on their network and in their facility so it becomes a very claustrophobic environment very quickly. Q: Horrible way to live. 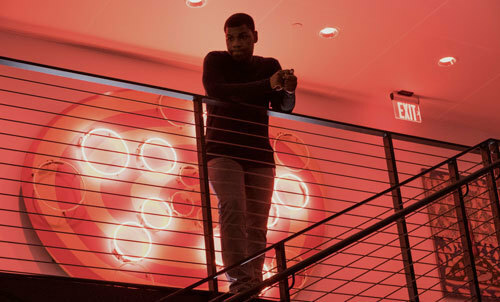 How was working with “Star Wars” John Boyega as Ty? Emma: He’s incredibly charismatic and perfect for Ty. I think he brought a really interesting, sort of off-center characterization to Ty which I thought was really cool! Q: And, of course acting with Tom Hanks…how was that? Emma: Getting to work with Tom Hanks in any scene is a bit of a dream. Q: What is the real theme of this film? What would you say it is about? Emma: I think it’s about today’s society. This is not a dystopian future that is a long way off. This is a story that could be happening now. I think it’s incredibly topical and speaks to this moment now. I don’t think the film is there to preach or give a particular perspective on the issue of personal boundaries but it gives the audience a moment to ask questions and ask themselves questions. I think that’s the key really. I think that’s what is difficult about our situation now is we give our information away so freely without much thought anymore. I think people will think about these questions more having seen it. Q: Since The Circle is about crossing personal boundaries; outside entities knowing too much about a person. I assume, as a popular actress, you can relate to that? Emma: As someone who has been in the public eye quite a bit and, obviously, since I was very young, I did always feel that the boundaries between the person and private were important. But, I think even moreso playing this role and exploring the world of the film made me think about it more than I was before. See The Circle ​in theaters This Friday, April 28th! Are you okay with giving away all your personal data? Are you an Emma Watson fan? Discuss it below! 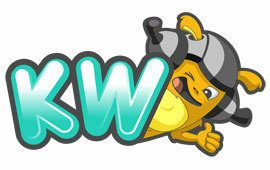 Which social media site do you like best?